DC’s Legends of Tomorrow started off with a bang, but is this only the proverbial tip of the iceberg? Suicide Squad Cast Announced: Tom Hardy, Will Smith, Jared Leto & More! Like all cinematic news these days, there’s been quite the stir of speculation for the cast of WB’s follow-up to Batman v Superman: Dawn of Justice, but the web damn near broke today in response to the star-studded cast announced for Suicide Squad. Marvel And DC Collectibles Geared Up For 2015! Batgirl, Groot, and the Secret Wars! They say knowledge is power and in the case of collectors that is certainly the case. With the foresight that comes from pre-order release dates, no fan need ever worry again about missing the release of a treasured piece of memorabilia. DC is by far the best at this particular market tactic and they’ve already given us a look at some of the releases that will be winging their way to specialist stores in 2015. Below is a list of a few that have taken Grizzly Bomb’s fancy. DC Entertainments Black and White series continues to impress, with a huge range and variety of choice in sculpt designs available to the consumer. Included in the collection this time around is a superb sculpting of Barbara Gordon Batgirl statue (in her Batgirl issue 35 gear). More commonly known as the Batgirl of Burnside, it presents a more modern take on the Batgirl costume. The figure sculpt is by artist Irene Matar (Batman: The Animated Series action figures) who has done a great job of keeping the Cameron Stewart and Babs Tarr original design style. It is due to ship in September 2015 (price to be announced). Joining her we have a Dave Johnson inspired piece with a limited run of 5,200. It is due for release on March 2015. Then we have Ivan Reis take on the Dark Knight coming out in June 2015 and the incredible looking Mike Mignola Batman design, which comes in August 2015, all priced at $79.95. There are many more DC releases that may be of interest to collectors, like the Wonder Woman: Art of War statues by Tony Daniel and Cliff Chiang, showing two different Wonder Woman designs, both ready for battle. They are both priced at $79.99 and arrive on May and February 2015 respectively. More entries into the Jim Lee comic book busts collection are coming are way to with Deathstroke and Nightwing each making an appearance (both $49.99 and coming in February and June). Finally there is the dynamic duo of crime; The Joker and Harley Quinn, each coming in July of next year. 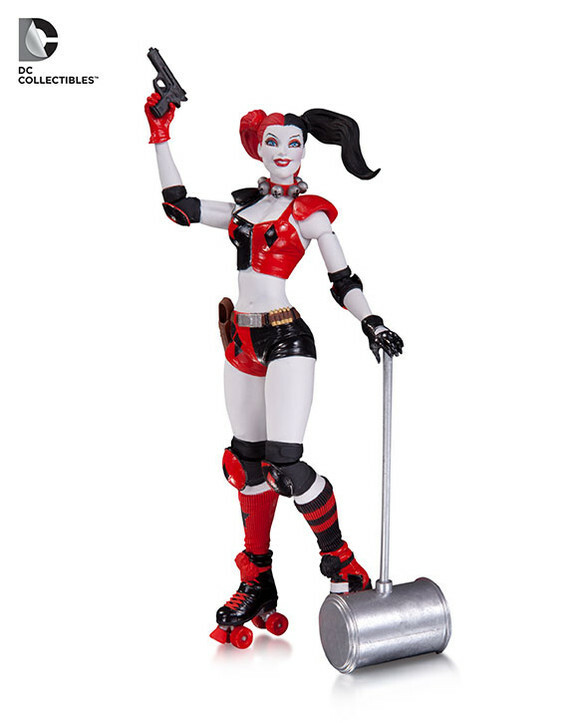 What makes Harley’s figure that extra bit special is the fact she is decked out in her roller derby gear from her new 52 series. 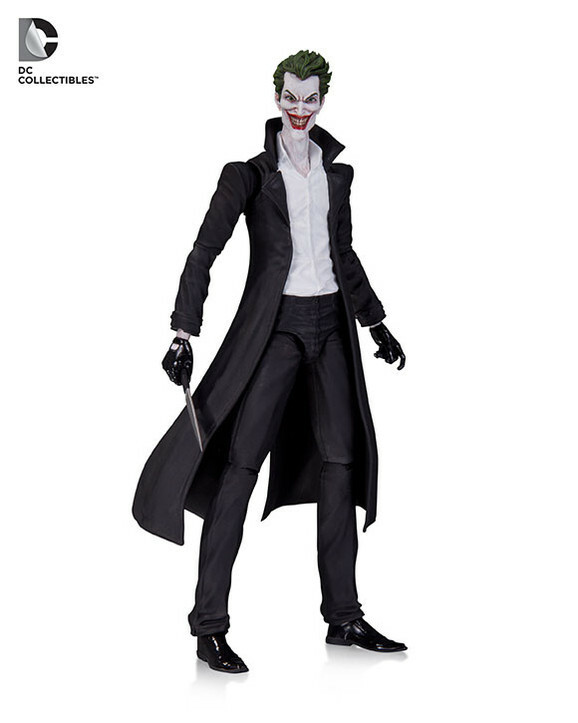 The design work (based on the Amanda Conner, Jimmy Palmiotti and Chad Hardin series) is spot on and will complement nicely the dark, knife wielding Joker figure. 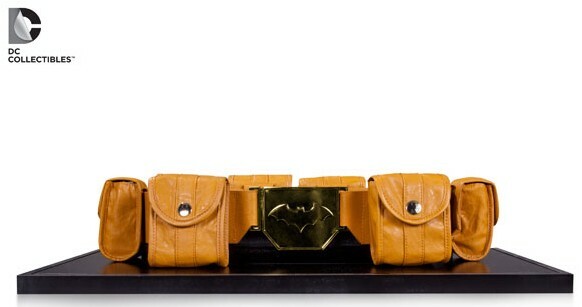 If you cannot wait to get your DC freak on, then you can always pick up a life-sized batman utility belt from $299.95. Marvel never seems to be as on the ball as DC are with regards to advanced orders. This may be due to the wide array of figure creators working under the Marvel umbrella, making it slightly more difficult to track their new products down. Still there are a few pieces of interest coming in 2015. One of the more interesting sets is the oversized return of an old Marvel figure line; Secret Wars. These 12 inch figures are based on the old sculpts from the ’80s and are just quirky enough for collectors to take interest. I myself owned the Hobgoblin figure in my youth, so it’s a nice surprise to see it reappear. Joining him will be the black suited Spider-Man and two other figures in the near future (one of which looks to be Wolverine). These will be coming via Gentle Giant Limited around for summer 2015, and will roughly retail for about $89.99. The backing itself certainly harkens back to the figures that were released originally and it’s a nice retro touch by Gentle Giant. 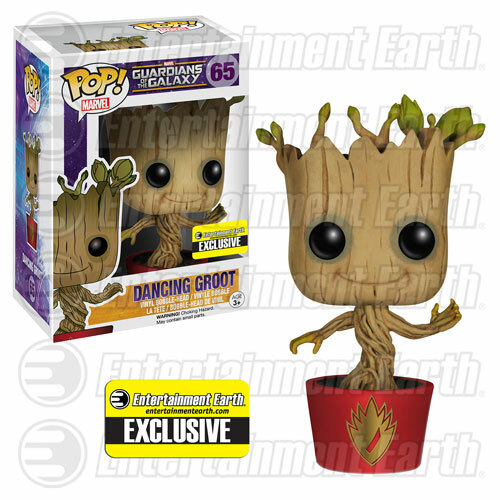 Also appearing in 2015 (February) will be the anticipated dancing Groot bobble head figure which Marvel fans have been salivating for ever since he appeared in the Guardians of the Galaxy movie. From Pop! Vinyl it has the same trademark cuteness you would expect from that brand and will retail for about $12.99. 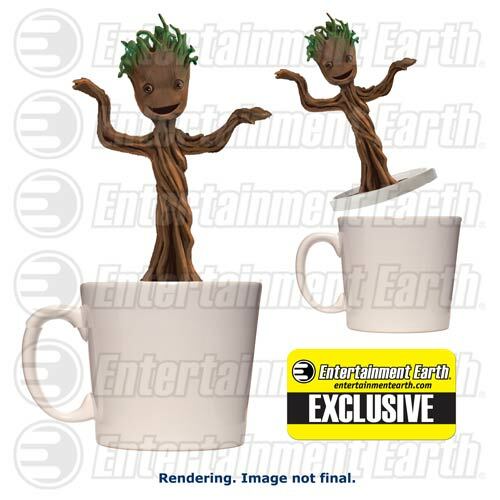 Entertainment Earth has an exclusive variant version of this as well as a variant version of the dancing Groot mug (also coming in 2015 at $14.99). But if you cannot wait until 2015, then Marvel has a ton of collectible content out there already. Here is a sneak peek at a few of them. My personal favorite is the Egg Attack War Machine ($79.99) figure just for the fact it looks so darn cute and it lights up too! But for great sculpt likeness it has to be a tie between the extremely menacing Green Goblin life-sized bust ($599.50 and limited to 300) or the positively revolting Zombie Magneto mini bust ($99.95 and limited to 5000). As this year draws to an end and comic fans far and wide look forward to what delights 2015 will have to offer us, it is comforting to know that if nothing else, we will have these new collectibles to look forward to. Images: DC Collectibles, Pop! Vinyl, Gentle Giant LTD, Entertainment Earth, Sideshow Collectibles, Egg Attack.